William D. Waldock holds the rank of Professor of Behavioral & Safety Science at Embry-Riddle Aeronautical University’s Prescott Campus. He is the creator of the aviation safety programs at Embry-Riddle and has spent the last 34 years developing and enhancing the academic safety endeavors here. Over the last 34 years, he has personally taught over 7,000 students, many of whom have gone on to safety and investigation positions in industry and government. 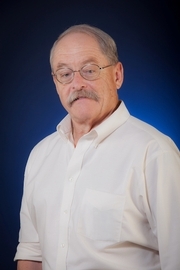 He is also responsible for creation and development of the S. Harry Robertson Aircraft Accident Investigation Laboratory He is a retired U.S.Coast Guard officer, a pilot, and has been investigating accidents for more than three decades, participating in more than 200 aircraft investigations and analyzing 500 more. He is President of the Arizona Chapter, International Society of Air Safety Investigators and has written numerous articles on aviation safety, aircraft accidents, aircraft fire investigation, and crash survivability. He is a Fellow in the American College of Forensic Examiners and member of numerous other aviation and safety-related organizations. Prof. Waldock has appeared in numerous safety-themed video programs and has been an expert consultant to both the print and electronic media. "Surviving a Forced Landing". Aviation Safety, 15 January 1991. "Runway Incursion Hazards in General Aviation" Aviation Safety, 15 August 1991. "Dressing for Survival". Aviation Safety, 01 Oct. 1991. "Aircraft Accidents: Changing the Outcomes", SAFE Journal, July/Aug 1991. "Coping with Killer Winds". Aviation Safety, 1 February 1992. "Alcohol & Aviation Safety". Aviation Safety, 15 April 1992. "Sobering Facts on Hangovers". Aviation Safety, 1 May 1992. "To Stop or Not to Stop, Rejected TakeOffs in General Aviation". Aviation Safety, 1/15 July 1992. "Uncovering a New Icing Hazard", Aviation Safety, 15 Nov 1992. "Close Encounters of the Furred Kind: Animal Hazards to Aviation", Aviation Safety, August 1993. "Birds of a Feather: Birds and Aviation Safety", Aviation Safety, Sept. 1993. "Wing Ice Stifles a Takeoff", Aviation Safety, 15 Oct. 1993. "Deadly Visual Illusions", Aviation Safety, 01 Nov. 1993. “The Quest for Safety”, Aviation Safety, 01 Sept. 1994. “A Question of Control”, Aviation Safety, April 1995. “Hazards of the High and Hot: Density Altitude”, Aviation Safety, August 01 & 15, 1995. “Night Visual Illusions”, Aviation Safety, Dec. 1995. “Setting the Stage: Communication & Accidents”, Presented at Center for Aerospace Safety Education Annual Seminar: Aviation Communication- A Multi-Cultural Forum, April 1996. “Guarding Against Complacency”, Aviation Safety, Sept. 1996. “An Ill Wind: Tailwind Hazards in General Aviation”, Aviation Safety, Mar. 1997. “A Brief History of Aircraft Crashworthiness”, Presented at SAFE Association Annual Seminar, Phoenix, AZ, Sept. 1997. “Carry-On Bags- an Everyday Risk”, Paper presented to Association of Flight Attendants Carry-On Baggage Conference, 17 November 1997. “Restrain Yourself-Using Lap belts and Shoulder Harnesses to Protect Yourself”, Aviation Safety, Feb. 1998. “Carbon Monoxide: Insidious and Deadly”, Aviation Safety, June 1998. “Till the Cavalry Arrives-Surviving the Crash”, Aviation Safety, July 1998. “Aircrew Uniforms & Fire Survivability”, Paper presented to the Aerospace Medical Association 71st Annual Scientific Meeting, Houston, TX, May 2000. “Aviation Safety Education at Embry-Riddle Aeronautical University”, WINGS, June 2000. “History of Aircraft Accident Investigation in the U.S.; How We Got Here from There”, presented at Kenyon, Intl; Second Annual Training Symposium, Houston, Texas, Sept 2004. “No Greater Evil-The Grand Canyon Midair Collision of 1956”, presented at the 50th anniversary commemoration ceremonies sponsored by the Grand Canyon Association, 30 June 2006. “Maintenance-Related Aircraft Accidents”, presented at the FAA Greater Southwest Aircraft Maintenance Symposium, Mesa, AZ March 2008. “Grand Canyon Midair-the Legacy”, presented to the American Aviation Historical Society, Prescott, AZ, April 2008. “Teaching New Investigators to Think: From Ayn Rand’s Objectivism to Sherlock Holmes’ Deductive Reasoning”, Co-authored with L.Pete Kelley. International Society of Air Safety Investigators International Symposium, Vancouver, B.C. August 2013. “Memphis Belle, Hot Stuff, General Andrews, & the Quest to be the First to Complete 25 Missions in the 8th Air Force” Presentation to the American Aviation Historical Society, Prescott, AZ, Nov. 2014. American College of Forensic Examiners. Certified Safety Specialist--World Safety Organization. International Society of Air Safety Investigators (President/AZ Chapter). American Society of Safety Engineers (member). World Safety Organization (professional member). Aircraft Owners and Pilots Association (member). Aircraft Rescue & FireFighting Working Group (member). National Fire Protection Association (professional member-aviation). General Spruance Award-"For Outstanding Contributions to Safety Through Education". SAFE Association, 1990. Named to "Who's Who in Safety" 1991. Named to “Who’s Who in America-2001 Edition, subsequent through 2009. Named to “Who’s Who in the World-2000 Edition”, subsequent editions thr 2009. Named to “Who’s Who in Finance and Technology-2001 Edition” –2001, 2006.